OpenCart Website Development – A Deal to Deliver! OpenCart is an open source E-commerce Shopping cart solution made in PHP language. It is one of the most popular E-commerce cart solutions, which is user-friendly as well as functional. The solution is also search engine friendly and can be easily optimized for different search engines. The OpenCart solution is adopted by various online companies for their quick and easy online selling of their goods and services. The visually appealing interface along with search engine friendly attributes makes it a preferable choice for most developers. The development service includes custom web page design service, cart creation where customers can select and buy products and add to their Cart, Shopping integration with product catalog, payment gateway integration such as PayPal, credit cards etc. The OpenCart solution is fast and easy with lots of attributes. Design club india is one of the foremost web development companies, working for years in various ecommerce website developments. 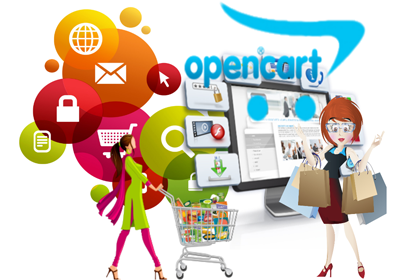 We are specialized in OpenCart website development solution with a technically sound team and best possible integration. We give faster, easier, more scalable and more competitive OpenCart customization service.